Think Africa is the only continent with a Big Five? Think again! From the impenetrable depths of the Amazon to the breathtaking heights of Machu Picchu, we introduce you to South America’s BIG Five attractions, and show you how to conquer them…one by impressive one. 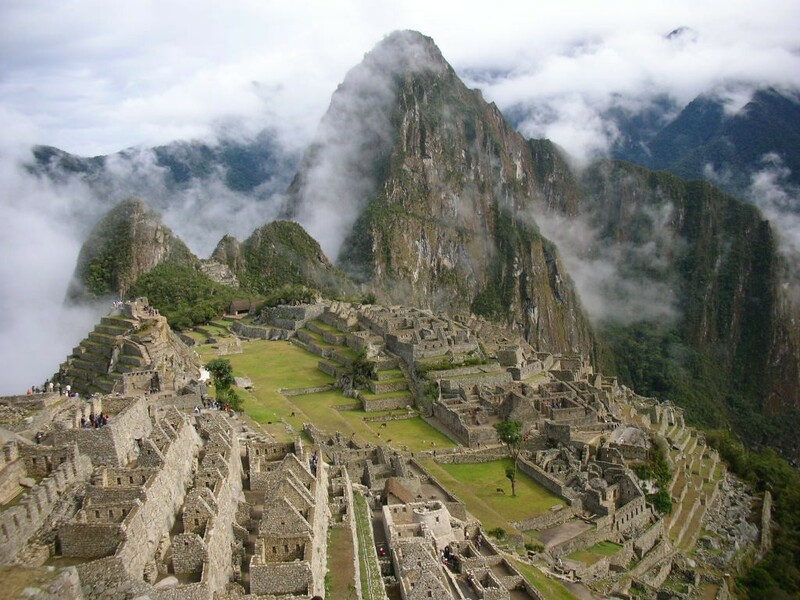 Machu Picchu is, without a doubt, the most iconic site in all of South America. It appears at the front of countless guides and tourist brochures and is the most popular must-do for first-time South American travellers. The fabled ‘lost’ city of the ancient Incas is set in a verdant valley, right in the heart of the Peruvian Andes. Ever since its discovery a century ago, this incredibly picturesque archaeological site has captivated the entire world. Hiking the classic Inka Trail over several days at head-spinning altitudes, and ascending to Sun Gate for a breathtaking sunrise over the ancient ruins, is the stuff of dreams. All roads to Machu Picchu start in Cusco, although two smaller towns (Aguas Caliente and Ollantaytambo) are the technical starting points for hikes and trail rides to the archaeological site, respectively. Nevertheless, you’d need to reach Cusco to move on to either one, so consider that your ideal base. Cusco is a stunning Andean gem, with its eclectic mix of ancient Inca and colonial architecture which makes it a much-coveted stop over on any tour of Peru. Moreover, Cusco is abuzz with visitors and boasts countless cool cafés, top-notch restaurants, a wicked nightlife and great accommodation options. Cusco is one of those places one could spend endless days exploring, so if you have the option to stretch your visit, you certainly won’t regret it. Several daily flights connect Cusco to the Peruvian capital, Lima. You can reach Lima via direct flights from Australia, New Zealand, Europe and Canada. Imagine a world teeming with exotic and utterly unique wildlife, one deprived of any major predator, where visitors are granted the priceless opportunity to walk, live and experience life as if man had never existed. That’s the Galapagos Islands in a nutshell. Floating happily almost 1,000 km off the coast of western Ecuador, the Galapagos Islands are one of the world’s most spectacular natural treasures, home of giant turtles, marine iguanas, flightless cormorants and blue-footed boobies. For nature and wildlife lovers, this place in unrivalled, with its dramatic landscapes and surreal colours providing a sensory feast at every turn. 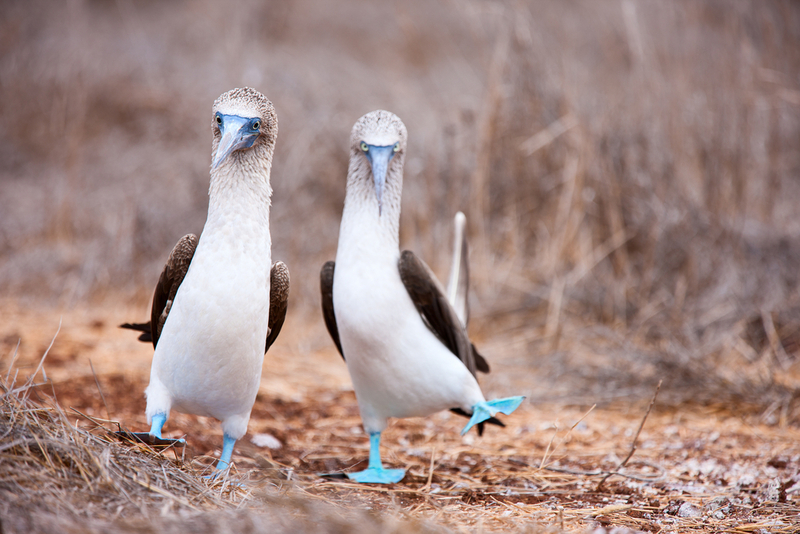 A cruise around the Galapagos is not just unforgettable, but it can be immensely soul-reviving. 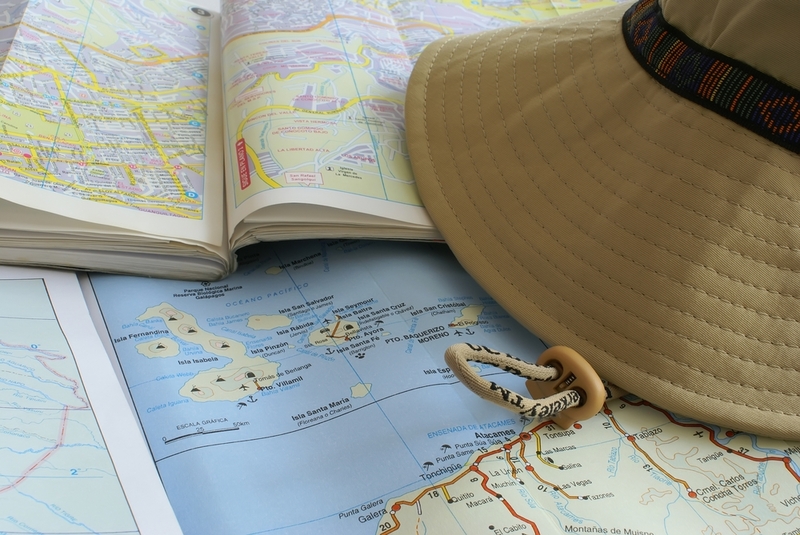 Flights to Santa Cruz, the main island in the archipelago, leave from Quito and go via Guayaquil (on the coast) so either one of those two cities will be great springboards for your nautical adventures. The one South America BIG five which really needs little introduction, the Amazon Rainforest is arguably the most important and biodiverse natural treasure on our planet. Home to a mind-boggling array of flora and fauna, the Amazon is to the adventure traveller what a jar of Nutella is to the chocoholic: a simply irresistible temptation. A trip to the Amazon is like nothing else in the world, and gifts you the chance to completely disconnect from the outside world. For families travelling with children, an Amazon trip can truly be a life-forming experience. Although the Amazon covers entire regions from no less than 9 South American countries, the best and easiest to access are in Brazil, Bolivia, Peru and Ecuador. The main springboards for Amazon adventures are Puerto Maldonado and Iquitos (Peru), Coca (Ecuador), Rurrenabaque (Bolivia) and Manaus (Brazil). All of these are quite remote outposts, yet all accessible via flights from the country’s respective major cities. 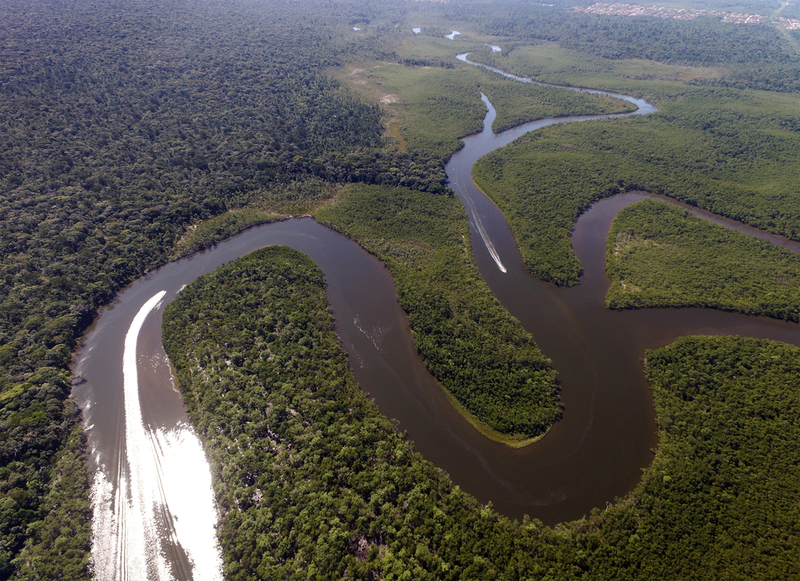 Of all South America’s Big Five, the Amazon is the most flexible due simply to the sheer number of ‘part’s you can visit. Combine Iquitos with your Machu Picchu journey, for example, or Manaus with a few days in that fantastic city….which is coming right up. The honorary capital of Brazil is one of the most vibrant, colourful and addictive cities you could visit in all of South America. The massive reconstruction projects undertaken for the Rio2016 Olympics have brought about some terrific improvements in the city, making it more appealing than ever. Iconic Copacabana and Ipanema beaches still sparkle supreme among all the attractions, along with the gargantuan Cristo Redentor statue atop Corcovado Mountain. Take the cable-car up to the top of Sugarloaf, visit the splendid Theatro Municipal and soak up the ray on one of Rio’s world-famous beaches. Renowned as an artistic, cultural and natural treasure, Rio was awarded UNESCO heritage in 2012. Being the bustling metropolis it is, Rio connects not only to all major Latin American cities but also the rest of the world. Flights from Australia go via Santiago (Chile), and direct flights from Europe take off from London, Paris and Madrid. Including a few days to revel, relax and revitalize in Rio is superbly easy. 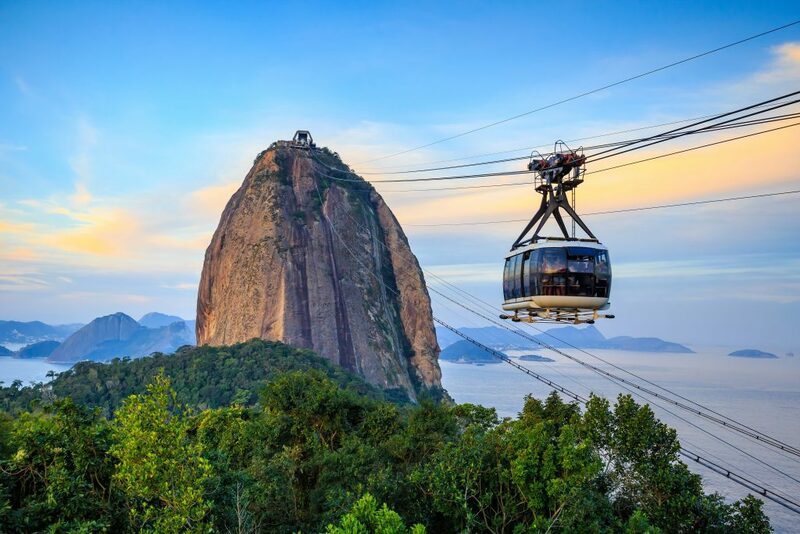 In fact, Rio is arguably the easiest of South America’s Big Five to tick off your list no matter where in the region you’re flying to and from. The largest waterfalls on the planet are an incredible sight to behold. 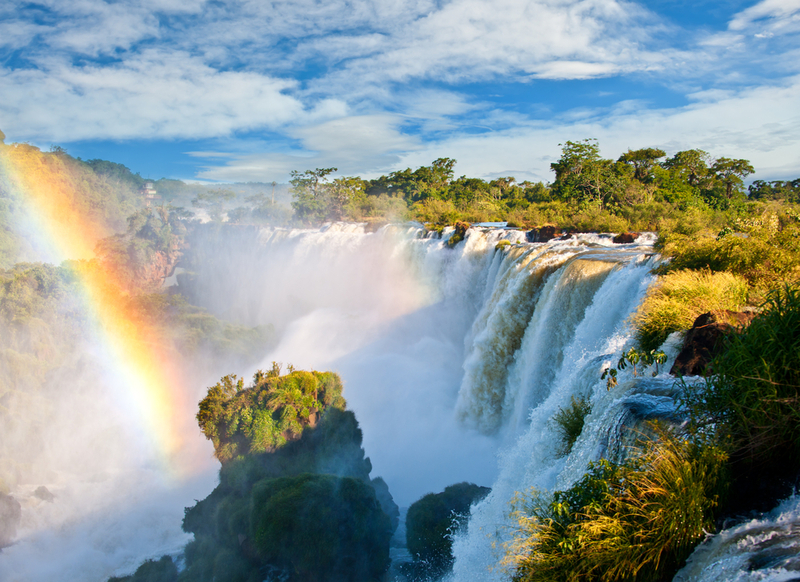 Humongous and powerful, Iguassu Falls have a way of leaving even the most experienced explorer absolutely speechless. Bordering two South American countries (Argentina and Brazil), Iguassu stretch for over 2.5 km and comprise 275 falls which, combined, drop a colossal 1,7555 cubic metres of water per second, over vertical rock walls that are up to 80 m tall. Awe-inspiring doesn’t even begin to describe this immensely mesmerising force of Mother Nature. Want to know which side of Iguassu is best? You can find out right here. On either side of the Brazilian-Argentinian border, you’ll find a bustling town that’s perfect for an overnight stay. Argentina’s Puerto Iguazu is a lovely village, and although not nearly as modern as its Brazilian counterpart (called Foz de Iguazu) it is actually the more popular ‘base’. This is because a greater part of the falls are actually on the Argentinian side, so people tend to spend more time touring them from here. May visitors, in fact, will base themselves in Puerto Iguazu, spend a whole day on the Argy side, and then spend one day crossing the border into Brazil and visiting the Brazilian side. Both towns can be reached via direct flights from their respective capitals (Puerto Iguazu from Buenos Aires and Foz from Rio) although overland tour passengers can enjoy a host of other attractions as they make their way through either country by road. Perhaps understandably, each side of the falls boasts its own distinctive ‘peak hour’. The Argentinian side is busiest in the morning, whilst the Brazilian side is quieter in the morning and bustling by midday, as most of the visitors will have spent a couple of hours transferring over the border. South America is a land of dazzling sites and its BIG Five attractions barely scratch at the surface. Want some help devising a cunning plan to experience them all? Whether you want to tackle a phenomenal adventure to see them all in one trip, or plan several return journeys, Chimu Adventures is here to help. Click here for more information about the South America’s Big Five.